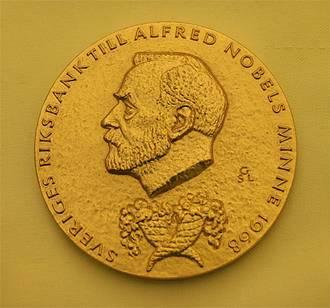 I have mixed feelings about the award of a Nobel prize to economist Paul Krugman. I am happy that a person I tried to hire as a columnist for Wired in the mid 1990s eventually won the highest honor in his field. I was originally interested in Krugman because of his work in non-linear economics. Complexity and non-linear dynamics seemed to be an approach Krugman dabbled in with his book “The Self Organizing Economy.” I felt (and still feel) that something large was stirring in the emerging digital economy, and that Wired would be a good place to write about it. Paul declined my offer to write for Wired back then because he was looking for a venue larger than tech. A year later he wound up at Slate.com. Later he become famous for his New York Times column. But after investigating self-organization, Krugman must have decided it was not worth following up on, because for the most part he abandoned this computational approach. He may even gained a distaste for it. He got into a famously personal and toxic feud with economist Brian Arthur, of the Santa Fe Institute, who was gung-ho on the role of increasing returns and network effects in the economy. I don’t know what came first, Arthur or network effects, but Krugman acquired an allergy to both. I also am very glad the Nobel prize is going to someone who acknowledges the role science fiction has had on academia. A while back Krugman said he got into economics from reading Asimov’s Foundation series. Hari Seldon’s pschohistory is the sort of probabilistic forecast a super economist would love to make. Krugman also writes science fiction himself — always a plus in my book. While at Yale as an assistant professor in 1978 he wrote “The Theory of Interstellar Trade” (PDF). It is less hard science fiction and more a tongue-in-cheek speculation about the problems of calculating interest at near-light speeds. Do you use the clock on the ship with the cargo or the clock on the shipper’s home planet? Each clock suggests different business strategies. In fact, by my reckoning, the movie business handily fits 11 of Kelly’s 12 rules. So think of it this way: While the prophets of the “new economy” [that would be me] may seem to be telling us that we’re heading for a future in which every industry looks like Silicon Valley, what they are really saying is that we are on our way to an era in which there’s no business that isn’t like show business. Let’s hope they’re wrong. Yes, I did say exactly that: we are heading into a future in which every industry obeys the laws of information. And yes, it looks a lot like the business of films — things which cost a lot to make and virtually nothing to copy. Krugman and others may hope that hunch was wrong, but as far as I can tell, they are wrong and we are right. In short, I think Krugman just doesn’t get it. His economics seem very old school – but maybe that is what wins you a prize. According to him I should have titled my book Old Rules for the New Economy. Don’t take my or Krugman’s word. You can read the book yourself — for free (isn’t that “silly!”) — via this PDF, or on the web. I am interested to hear from readers which rules still work.